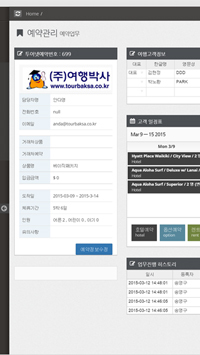 Tournet Hawaii, Inc. is a fully licensed Tour & Travel service provider founded in 1998. Well-Educated Professional Employees, Maintain Strategic Partnership with Local Travel Agency, Build Strong Sales Network with Business Partners. 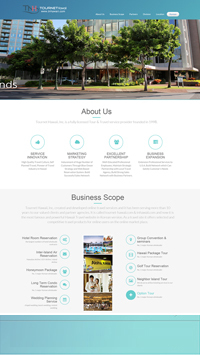 Tournet Hawaii, Inc. created and developed online travel services and it has been serving more than 10 years to our valued clients and partner agencies. 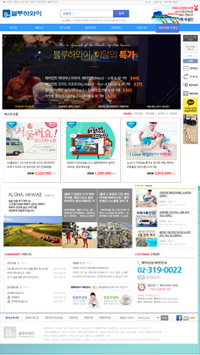 It is called tournet-hawaii.com & tnhawaii.com and now it is the most famous and powerful Hawaii Travel website in Korean version. 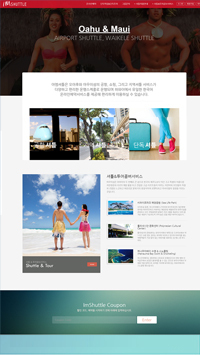 As a travel site it offers selected and competitive travel products for online users on the online market place. Bestowed with high professionalism, we are capable of offering incredible web development services and solutions to our valued clients overseas with complete contentment. Whether you demand web development solution or it is a custom web development project, we are capable of tackling it in the best manner. Bestowed with the most professional and advanced resources, we bring the most satisfactory outcomes for your online business. We make sure that you own a website exactly the same you were looking for! We believe in building and maintaining long-term relationships with all our clients. We endeavor to offer you the best solutions in order to acquire your maximum satisfaction. Our focus is to provide the best quality service possible to all our clients and close access will offer optimal speed and proficiency. (1) Write, update, and maintain computer programs, company's travel systems packages and mobile applications, by converting data from specifications, to handle specific tasks such as tracking inventory, storing and retrieving data, resource planning. (2) Analyze, review, rewrite, and reconfigure programs, applying knowledge of computer capabilities and symbolic logic, utilizing tools such as Windows Server, IIS, SQL Server, Unix/Linux Server, Apache, C#, Java. (3) Perform revision, repair and expansion of existing server programs and systems for increased operating efficiency, greater data and server security, and seamless data processing, by utilizing tools such as TSO, JCL, DB2, Structured Query Language, EZtrieve, CICS. (4) Perform systems analysis and programming tasks. (5) Assist engineering and technical personnel to define and resolve problems in running computer programs. (6) Prepare detailed workflow charts and diagrams that describe input, output, and logical operation and convert them into series of instruction code; code layouts for onscreen user interfaces and ensure proper interfaces with other systems. (7) Work closely with engineering, managerial and technical personnel to clarify program intent and functions, identify problems and suggest changes as necessary. (8) Conduct trial runs and test newly created programs to ensure they work correctly; correct any errors detected in compile process. (9) Investigate and ensure networks, workstations, the central processing unit of the system, and peripheral quipment are responding to a program's instructions utilizing programming concepts such as multithreading, cross-platform, objects, data structures, bit shifting. (10) Prepare detailed documentation of program development and revisions in the coded instructions for program. (11) Provide technical support and troubleshoting by responding to ininquiries, problems, or questions; write instructions or manuals to guide end users an necessary. Copyright © 2014 tournet-hawaii.com. All Rights Reserved.